The 2017 Edinburgh International Swim Meet wrapped up this year’s edition and night 3 was highlighted by a Danish invasion. First, visiting swimmer Rikke Moeller Pedersen wrangled in the win in the women’s 200m breaststroke, beating out Stockport Metro Swimming Club’s Katie Matts by just .07 of a second. Pedersen produced a winning effort of 2:25.86, dropping about 5 seconds off her morning swim of 2:29.91, while Matts settled for silver in 2:25.93, a new personal best. Pedersen had been quiet so far in Edinburgh, finishing 4th in the 100m breast (1:08.27) and 5th in the 50m distance in 31.82. While her 200m outing tonight was well off her own fastest and national record of 2:19.11 from 2013, the 28-year-old now owns the Edinburgh meet record and checks in among the world’s top 20 times so far this season. Another Danish swimmer, Emilie Beckmann, doubled up on her 100m butterfly victory from earlier in the meet by winning the 50m butterfly skins contest tonight. She ultimately won the final round of the event in a time of 27.13, but not before clocking a new meet record of 26.74 in an earlier heat. 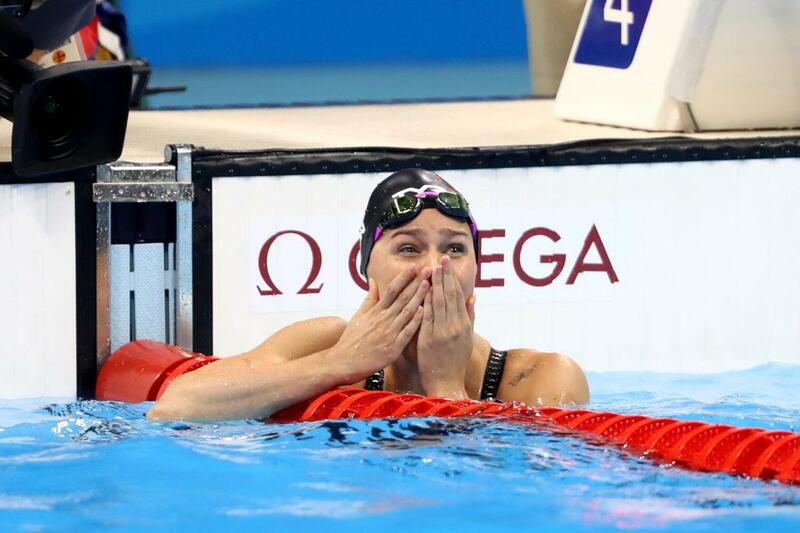 Finally, 2016 Olympic gold medalist Pernille Blume topped the women’s 100m freestyle field by over a second, stopping the clock at a swift 53.93 for the gold. She already captured the splash n’ dash skins event in a speedy 24.51 from night 1 and her performance this evening registers as the 3rd fastest of her career. Internationally, Blume’s time now ties Italy’s Federica Pellegrini as the 10th fastest this season. City of Glasgow’s Craig McNally took the men’s 200m backstroke in 2:01.51, claiming his first individual win of the meet. Loughborough’s Charlotte Evans nabbed the 200m backstroke on the women’s side, registering a mark of 2:11.92, the only sub-2:12 outing of the field. Edinburgh swimmer David Cumberlidge doubled up on his 50m freestyle win with a 100m victory tonight, clocking the only sub-50-second time of the final. He took gold in 49.65, marking the first occasion the 21-year-old has venture into 49-second territory. Loughborough’s Adam Barrett touched in 53.05 for the men’s 100m butterfly gold, completing his trifecta of fly wins over the course of the meet. Luke Turley was victorious in a super tight men’s 400m freestyle, earning a gold medal-winning time of 3:57.62 to Michael Gunning‘s silver result of 3:57.77.